Zara mingles with Liberty. The Spanish brand has created a special collection for Zara Home Kids in collaboration with renowned brand Liberty from London. 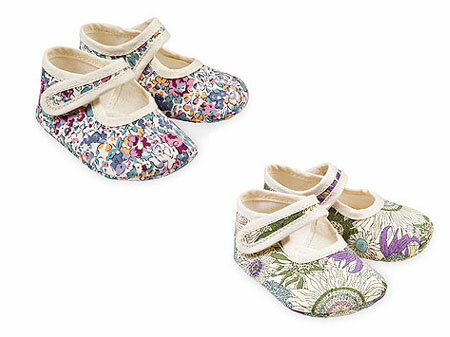 The new collection will offer pyjamas, slippers, baby clothes and towels in different Liberty patterns and colours. Customers will be presented with a whole new range of items at good value for money. Already available for purchase from the zarahome.com website, the line should be in stores by beginning of next year. Today, Zara Home consists of 272 in the world, where 232 are in Europe and 7 in the UK alone. ​Aditya Birla Group’s Birla Cellulose is betting big on its in-house sustainable fabric brand ‘Liva’ for growth and will be investing Rs 4,000 crore to increase the production of the fabric in the country. ​Indian footwear maker Liberty Shoes Ltd will expand its retail presence be adding 50 new stores across the country with an aim to generate annual revenue of Rs 1,000 crore by 2020. Liberty Shoes witnessed a 55 percent drop in its net profit to Rs 1 crore ($1,40,183) for the third quarter ended December 2018 as against the Rs 3 crore it had posted during the corresponding quarter last fiscal.